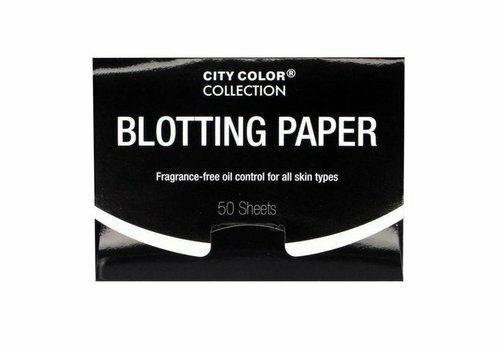 Buy Blotting paper and pads online at Boozyshop, the makeup webshop! Blotting is the removal of excess oil on your skin. Your skin continuously produces sebum throughout the day, which can cause you to shine. With the help of a blotting product you can remove the sebum, so your skin won't look all shiny anymore. Of course you can also use powder during the day, but this can make you look not so natural anymore. There are a lot of different blotting products available now. The best known are the blotting papers. These are very thin papers that you dab on the shiny parts of your face. The paper takes up the excess oil so you have a nice mat finish without powdering. New to the market are the blotting pads, these are washable and reusable cushions. They have the same effect as the classic blotting papers, but can be used several times. Buy your blotting products or other make-up easily and quickly online at Boozyshop.